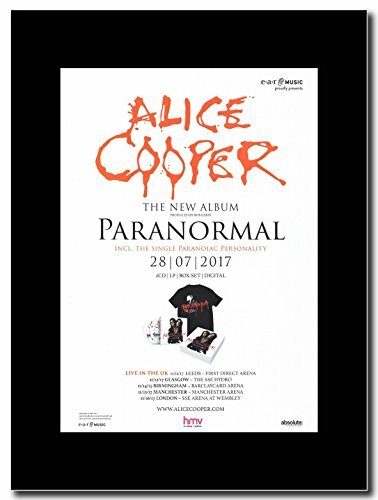 - Alice Cooper - Paranormal. - Magazine Promo on a Black Mount by gasolinerainbows at UtopyaCon. Hurry! Limited time offer. Offer valid only while supplies last. The Mounts are ready to place straight into standard size frames that are widely available on the net as well as in most high street stores. The Item will be shipped in a protective plastic sleeve & reinforced hard card envelope. If you have any questions about this product by gasolinerainbows, contact us by completing and submitting the form below. If you are looking for a specif part number, please include it with your message.